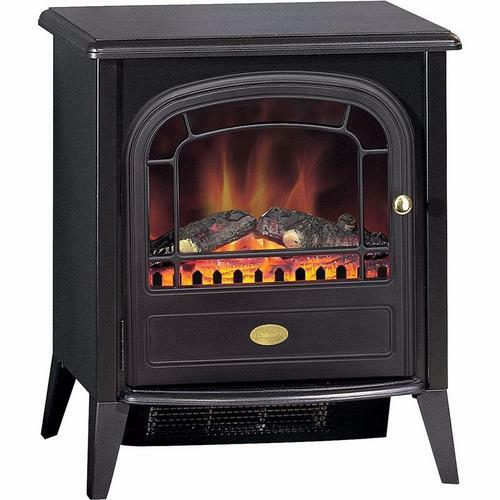 Traditional Style mid-sized Cast Iron Stove Fire with Log Burner effect finished in Black is an ideal Heater for use all year round. Comes with two heat settings (1kW and 2kW) and Optiflame technology for a real Authentic Stove Feel. The Club Stove features heat and flame effects without the mess of a traditional stove. With opening doors, lighting effects, low sound output, and that real fire warmth, the CLB20N is as close to the real thing as it gets! I am really delighted, at this precise moment! !, with my purchase and I would like to add that the item was packed really well. Thank you. Will not hesitate to recommend you to friends and family.